EnfoDesk, Analysys International's business information service branch focusing on the new media economy, has published a monitoring report for the Chinese Internet advertising market in the fourth quarter of 2011, stating that the market scale of Chinese Internet advertising operators reached CNY14.87 billion, a year-on-year increase of 52.9% and an increase of 6.4% compared with the previous quarter. According to the analysis of EnfoDesk, affected by seasonal factors and the placement behaviors of advertisers, the growth of Chinese Internet advertising market saw a slight slowdown. Meanwhile, there were three major factors that influenced the changes of the market structure. First, the keyword advertising sector led the market. Stimulated by the promotional effects and traffic brought by keyword advertising, the overall Chinese Internet advertising market maintained stable growth. During the fourth quarter of 2011, keyword advertising accounted for 39% of total Internet advertising. In the long run, the good promotional effects and search services provided by search engine operators will continue to improve to increase the value of search engine marketing, so as to encourage the placement of keyword advertisements by advertisers. Next, the share of brand advertising was stable. 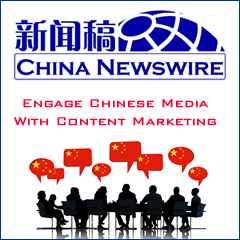 During the fourth quarter of 2011, brand advertising accounted for 25.3% of total Internet advertising in China, a decrease of 0.1% over the third quarter. Although its overall share saw a slight decrease, its core business continued to develop. The report states its expansion on portal websites will help maintain its media value and ensure the stable growth of revenue. Finally, other advertising types such as video advertising, interactive advertising and advertisement insertion were gradually recognized by advertisers. Accurate targeted advertising, especially video advertising, has gained fast growth and business recognition and should develop in 2012.